Over the past few decades, the Philippines has seen a steady growth in its economy. Many European companies are investing in key sectors of the Philippines, like renewable energy, engineering procurement & construction, manufacturing, and so on. Often regarded as one of the most difficult places to start a business in, the Philippines still has a long way to go. Entrepreneurs who are willing to get a business registration in the Philippines often come across many hindrances due to local regulations, consequently choosing to enter the market through other mediums, like forming a holding company. One of the benefits of forming a holding company is that the holding company itself is protected from the losses. A Holding Company is a form that owns outstanding stocks and shares of other companies. The term usually refers to a company that does not produce or manufacture goods itself but owns the shares of other companies that produce goods and services. Holding companies reduce the risk for owners by retaining the ownership of multiple companies. Why register a Holding Company in the Philippines? 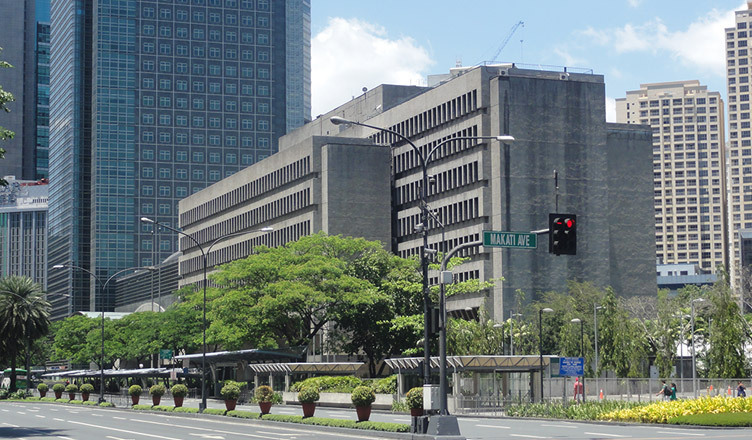 A holding company in the Philippines, also known as Regional Headquarters locally, can be set up only by multinationals running operation in at least one Asia-Pacific country. While the holding company may conduct a few operations in the Philippines, such a business entity should be mostly used for the management and supervision of its Philippines and other Asian countries subsidiaries. For setting up a holding company in the Philippines, a minimum initial investment of US$200,000 and remittance from its foreign subsidiaries of at least US$50,000 per year is required. The advantages of registering a holding company in the Philippines are as follows. Once you register your holding company in the Philippines, there is a 100% exemption of corporate tax on all earnings received from abroad, if the holding company conducts no operations in the Philippines, or a reduced corporate tax rate of 10% if otherwise. A holding company registered in the Philippines will not suffer taxation from local authorities and customs duties on imported equipment and cars. The employees will have the benefit of easy access to visa due to the fewer documents requirement in case of a holding company. A holding company is essentially just a shareholder in the organization and doesn’t run the same legal risk as if they produced the goods and services. If you register a holding company in the Philippines, you won’t have a direct legal responsibility that is costly in nature since yours will be a separate legal entity. It is quite easy to form a holding company in the Philippines. Promoters can buy its shares in the open market. The consent of the shareholders of the subsidiary company is not necessary. One has to secure the approval of the Securities and Exchange Commission (SEC) in the Philippines for the same. The financial resources of the holding and subsidiary companies can be pooled together. The company can undertake large-scale projects to increase its profitability. Moreover, competition can be avoided between holding and subsidiary companies if they are in the same line of business. Holding companies are structured in a way that will minimize their risk, and they can also disperse assets through its subsidiaries. So in case the company goes bankrupt or insolvent, the holding company shall have lower risk of losing all its assets. The parent company takes over control of a subsidiary by purchasing 51% or more of its shares and hence has more control over the organization from a financial point of view. All the decisions taken are also talked through with the management. Having provided an overview of the benefits of registering a holding company in the Philippines, it is also crucial from your side to research more on the same. Setting up a business in the Philippines can be hard, and if you do not want to risk it, the best option is to register a holding company. However, one has to also consider taking advice from consultants as they will have enough information and are a viable option to help you with the same. For queries or advice on company formation in the Philippines, do contact us – we’d be happy to help.